Until the August primary, the Home Page will ask the candidates running for the legislature a question per week, ranging across the board for issues facing Williamson County. This week’s topic is education. All candidates were asked the question via email, with their responses in alphabetical order by district. Several counties have sued the state over the BEP funding formula. Although Williamson isn’t one of them, school system leaders have raised concerns about the BEP as well. What is your reaction to the lawsuits, and how would you address this issue? Every few years it seems that we either have the big school systems or the rural school systems claiming that the BEP system is unfair to them. Then the funding pendulum swings one way or the other until it swings back a few years later. I believe we need a long-term and fair formula for funding our schools, one that will best be found through the legislation process rather than the litigation process. The BEP formula is inherently flawed because it penalizes Williamson County for its growth and success. While a lawsuit should be a last resort, I have said publicly that a lawsuit is not out of the question if that’s what it takes to get the formula corrected so that Williamson County gets its fair share of funding. Fortunately, we were able to find $3 million additional dollars this year to cover some of the shortfall, but that was a band aid rather than a permanent solution. Education funding is a critical issue, and we won’t rest until it’s fixed. Finding a resolution will require experience, an understanding of the legislative process and the trust of other legislators. I have a much better chance of finding a legislative solution than either of my opponents. Terrence Smith didn’t respond for comment. The school funding situation is bad enough that parents are selling wrapping paper and holding bake sales to cover basics. My daughter is a student at Moore Elementary. When her school’s playground finally rotted, it was up to parents to pay for a new one. That’s not how it’s supposed to be. Our legislature’s biggest responsibility is to adequately fund education, and it’s obvious that our current legislators are failing in that regard. Glen Casada didn’t respond for comment. Litigation should be the last resort in any issue. Our school leaders are understandably concerned about the amount we contribute to the BEP formula, but in Williamson County, we have thoughtful enough leaders to attempt a solution through more collaborative means first. 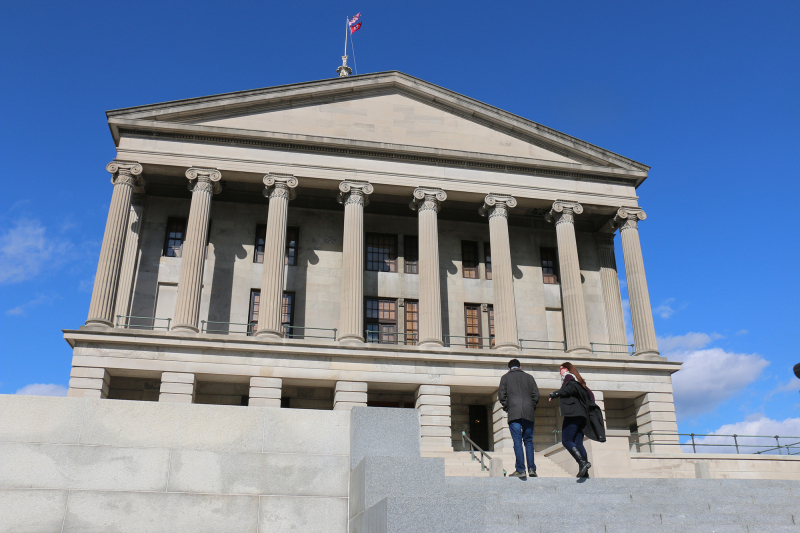 The BEP was created by a Democratic governor, Phil Bredesen, and BEP 2.0 was revised by a Republican one, Bill Haslam, but the formula has never been fully funded. This is an instance in which common sense and pragmatism must trump partisan and ideological issues for the good of our children. As legislators, our first priority should be to fully fund the BEP through work with the governor’s office and the Department of Education. Williamson County schools have at times not received their fair share of state funding. A new BEP formula needs to be created that accurately identifies the true cost of educating students in our rapidly growing school system. A school system should not be disadvantaged from a funding perspective based on high performance or the economic success of the county. One of my top priorities will be to ensure our schools receive their fair share of funding and that they are rewarded, not punished, for their success. In regards to the lawsuits, I applaud the BEP funding increase by $220 million with $100 million allocated for teacher salaries in the 2015 state budget. Proof that sustaining our state’s economic growth with business friendly legislation benefits every student and teacher in our state. The taxpayer’s money must be directed to building new schools for our county’s rapid growing student population rather than paying for lawsuits at the local and state levels. Jeremy Durham didn’t respond for comment.